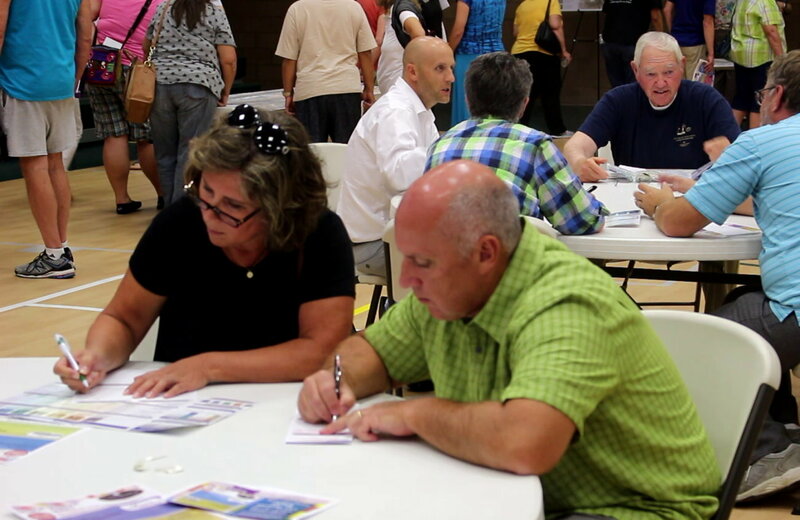 WASHINGTON CITY — With the worry that a highway interchange could be built in the heart of downtown Washington City, hundreds of residents attended an open house that displayed proposals from a study on reducing traffic issues around Exit 10. “I’m very concerned about a freeway off-ramp into a residential neighborhood,” Washington City Councilman Doug Ward said during the open house on Tuesday. 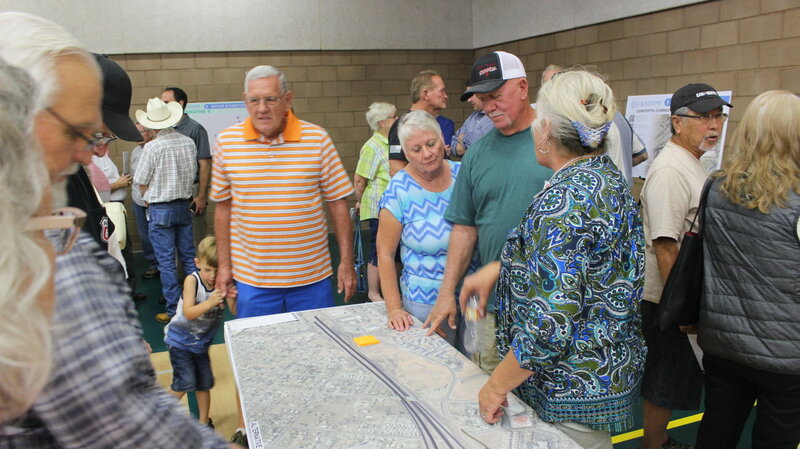 Held at the Washington City Community Center, the purpose of the open house was to show the public six proposed options for addressing the growing congestion at Exit 10 off Interstate 15. The study that produced those options started last fall and focuses on the area between I-15 exits 10 and 13. Along with other council members, Ward was given a preview of the six alternatives during an Aug. 7 council meeting. Creating a dedicated right turn lane/lanes on the southbound Green Springs Drive interchange off-ramp on to Buena Vista Boulevard. Widening the Green Springs-Telegraph Street intersection. Widening Telegraph Street to seven lanes. Widening Green Springs-3050 East to seven lanes. Widening and improving the Telegraph Street-Walmart intersection. Installing raised medians along Telegraph Street and Green Springs Drive. The six alternatives – or seven counting the no-build option – were whittled down from over 40 originally proposed by road engineers and suggestions brought to them by the public, said Kevin Kitchen, a spokesman for the Utah Department of Transportation. Of the six alternatives shown to the Washington City Council, two have since been dropped, yet were still shown at the open house. 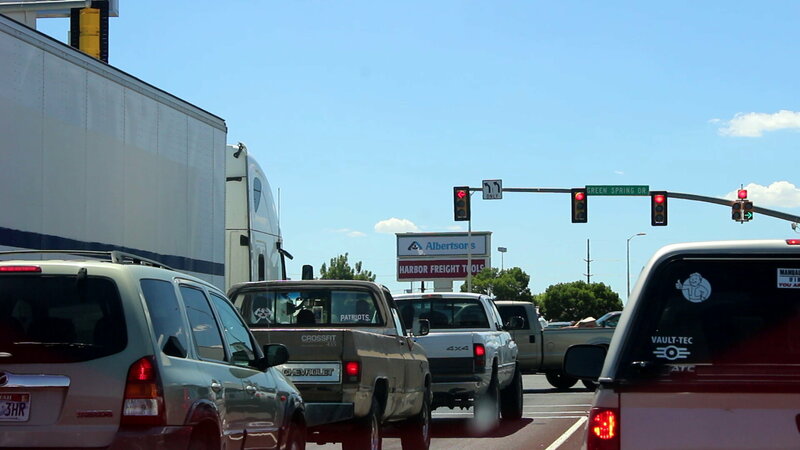 One would create one-way frontage roads on either side of I-15 between Exits 10 and 13. 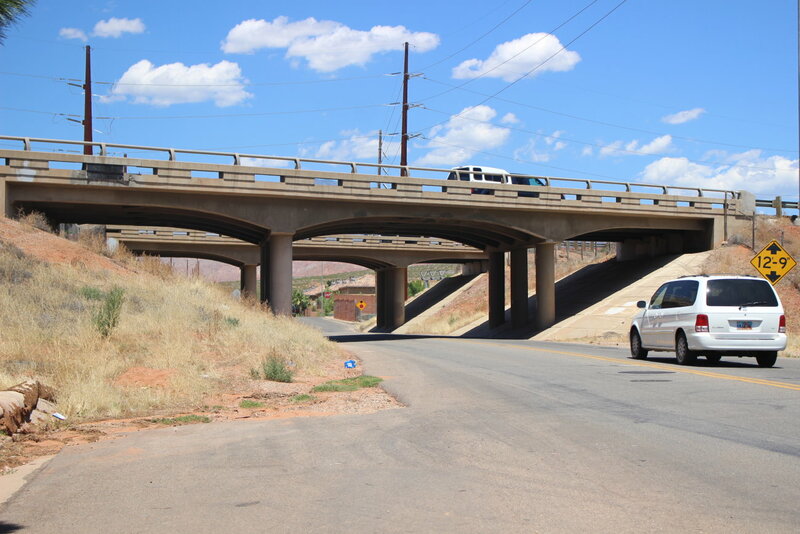 The other proposed a bridge over Green Springs Drive that would allow traffic from Red Cliffs Drive to travel through to Telegraph Street and vice versa. Turns through the intersection would be handled beneath the bridge in a manner similar to the Bluff Street-Snow Canyon Parkway intersection in St. George. The frontage road option would require the relocation of over 20 homes while the bridge over Green Springs Drive would require the relocation of 11 businesses along Telegraph Street. Of the remaining four alternatives, one proposes widening 3050 East and northbound Green Springs Drive to four lanes, which would require two businesses along 3050 East to relocate. Another proposal involves thru-turns at the Green Springs Drive-Telegraph Street intersection that would eliminate left turns on Red Cliffs Drive, 3050 East and Telegraph Street. Gaining access to those streets requires a left turn done though a U-turn configuration. This option would require the relocation of a single business. The two remaining alternatives, which have drawn little love from downtown residents, are proposed interchanges at either Main Street or 300 East. Main Street would require the relocation of 12 homes while 300 East would require the relocation of 10. Ward and many downtown residents object to the Main Street and 300 East options as they fear it will destroy the character of the area while also creating potential safety issues. Washington City resident Annie Naumann, who lives in the Green Springs development, said she was glad to see the issues surrounding Exit 10 being addressed. Concerning the alternatives, Naumann said he believed an interchange at Main Street may be the best option, adding each option looked like it could help ease congestion at Exit 10 in some manner. Unlike Naumann, Soli said she didn’t believe any of the alternatives would help reduce Exit 10’s problems. Throughout the process, road planners have consulted with a citizens committee appointed by Washington City Mayor Ken Neilson. Members of the committee have met regularly with planners to review progress of the environmental impact study and the proposals attached to it. Road planners have received input from the committee and will review additional comments from those shared at the open house and those that can be submitted through Sept. 27. “From the planning and design standpoint, it is very critical for us to have as broad a picture as we can get from the public as to what the real community needs are,” Kitchen said. He added that people may think that an interchange at Main Street are 300 East is a forgone conclusion, but that simply is not the case. Public comments can have a great impact on what UDOT officials may think is the best option and prompt them to find an alternative. “I think it happens more than we give it credit for,” he said, pointing to work done on Bluff Street in St. George as an example. UDOT had settled on the concept of a jughandle road configuration on the north side of the Sunset Boulevard intersection that would have carved out a piece of the Dixie Red Hills Golf Course. The influence from public input opposing the jughandle prompted UDOT to consider a different option, Kitchen said. 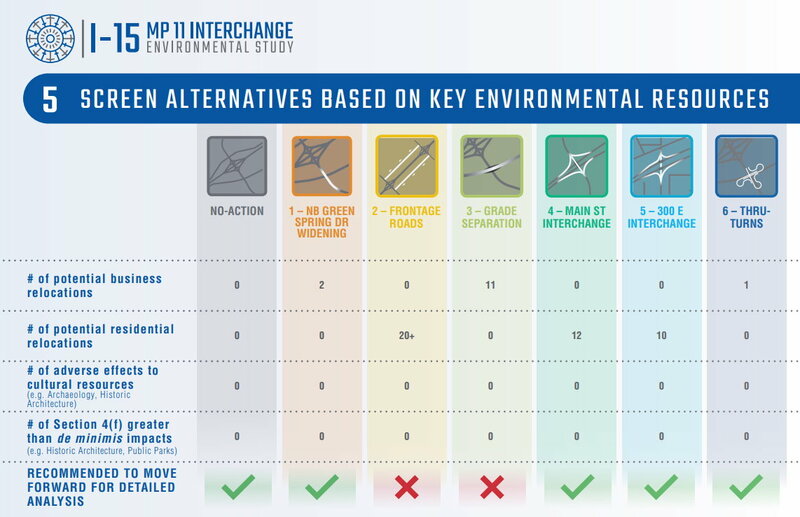 Individuals who were unable to attend the open house will still be able to review the alternatives online and submit their comments at mp11.org. Comments can all be emailed to info@mp11.org or sent by mail to MP 11 Environmental Study, 333 S. Bluff St., Suite 101, St. George, Utah 84770. Public comment following the open house can be submitted through Sept. 27. A final recommendation and decision on the study’s preferred alternative is anticipated to be released by the middle of next summer and will be subject to a 45-day comment period.